This is one of my all time favorites. It. Is. Awesome. Maybe not the healthiest thanks to the maple syrup, but it’s still got lots of good stuff in it and the combination of green onions, maple syrup and sweet potatoes is pretty much perfect. I found this recipe on Allrecipes.com a while back and I love it every time I make it. I just made a couple of changes to make it a little healthier. 1. 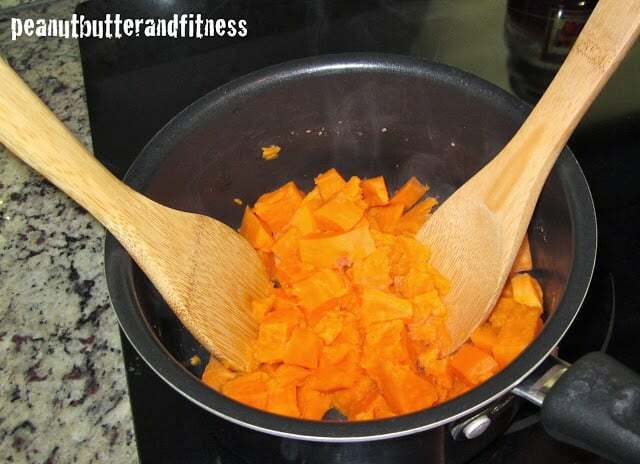 Place the sweet potatoes into a large pot and cover with water. Bring to a boil over high heat, then reduce heat to medium-low, cover, and simmer until tender, about 20 minutes. Drain and allow to steam dry for a minute or two. 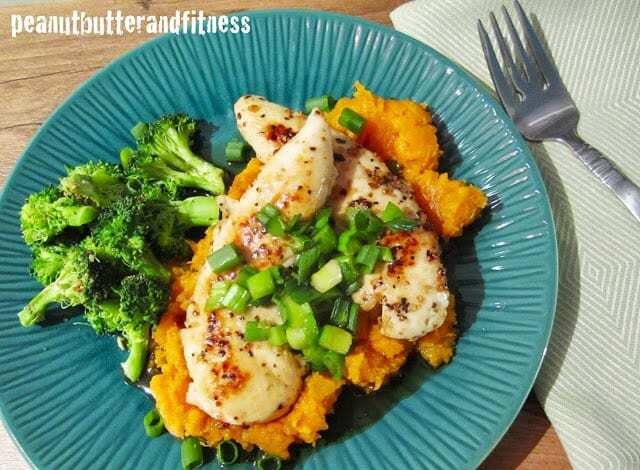 Mash the potatoes, and divide between four dishes (or if you’re meal prepping, divide the mashed sweet potatoes into your container of choice). 2. Sprinkle chicken tenders with steak seasoning; heat a large skillet over medium-high heat, spray with non-stick cooking spray and cook the chicken tenders until the meat is lightly browned and no longer pink inside, 3-5 minutes per side. 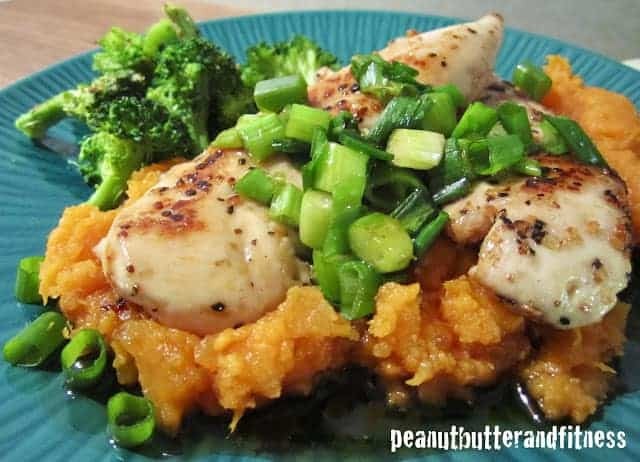 Remove the chicken, and set on top of the mashed sweet potatoes. 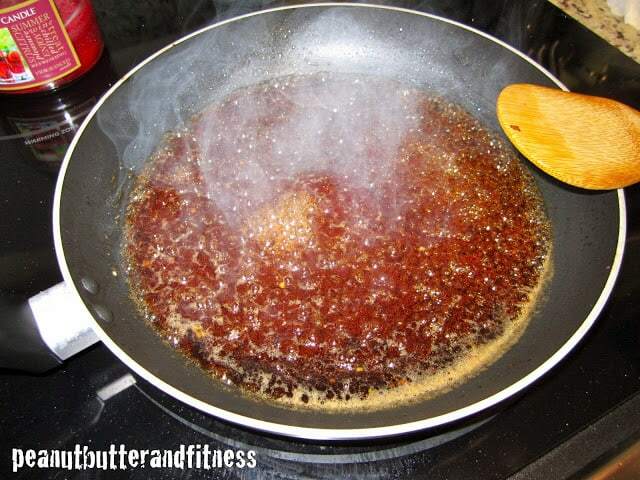 Reduce heat to medium and stir the maple syrup into the skillet, scraping up and dissolving any browned flavor bits from the skillet. Bring to a boil, simmer for 2 minutes, and stir in the green onions. Pour the maple sauce over the chicken and serve. Soooo um. Maybe I don’t own a potato masher. It’s cool, wooden spoons do the job just fine! I nearly forgot to turn down the heat for the maple syrup eeeeeek! Could have been a few expletives if I had burnt my delicious maple syrup.